Francesco is a lawyer specialized in structured finance and banking law. He advised on regular basis banks and financial intermediary on structured finance transaction including securitizations, project financing, object financing and restructuring. 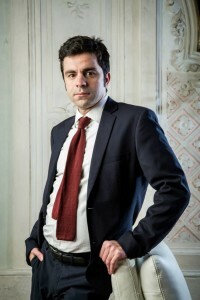 Graduated at the Catholic University of Milano (maxima on 2002) he is Doctorate in Civil Law (Ugo Natoli, 2009) and author of several publication in finance and ethical financing. Part of his activity is focused on social impact investment. Notable transactions in this area are: Centro Sociale Leoncavallo, Fondazione The Brass Group, , Teatro Marinoni, Micro-finance Facility under European Progress Microfinance Facility grant by SEFEA to Permicro.